Studio Owner for 36+ years. WHEN? Started a small studio in1976 that developed into an award winning, state of the art, multi faceted & educational dance school. "The Best Show Everrrrrrr !!" 2 beautiful women & amazing role models !!!! 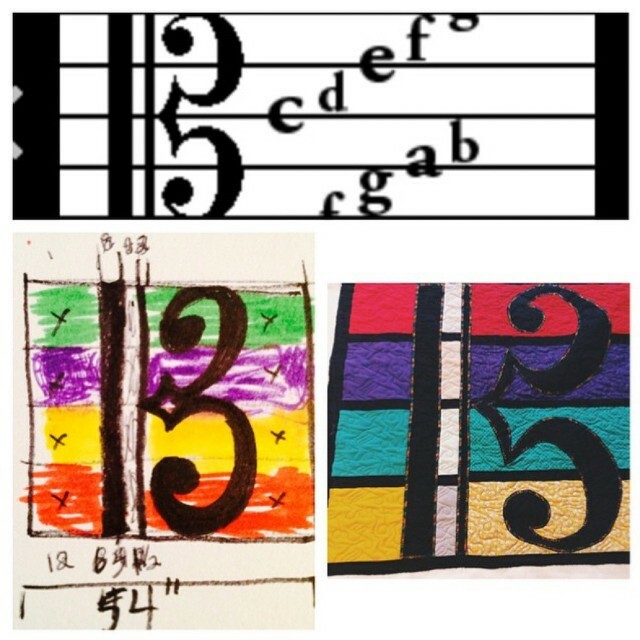 Keepsake stitches is such an original, unique gift idea!! WHO? Stefani Russo Hynes WHAT? Co-Director of D&S Dance Company. WHEN? Dancing for 20+ years, Stefani continues to motivate and inspired students. WHERE? Donna's Dance Center Shirley, New York 11967 FAVORITE SAYING: "Dance is a way of saying who you are without having to speak"
This is probably one of the most thoughtful and beautiful gifts I have ever received. 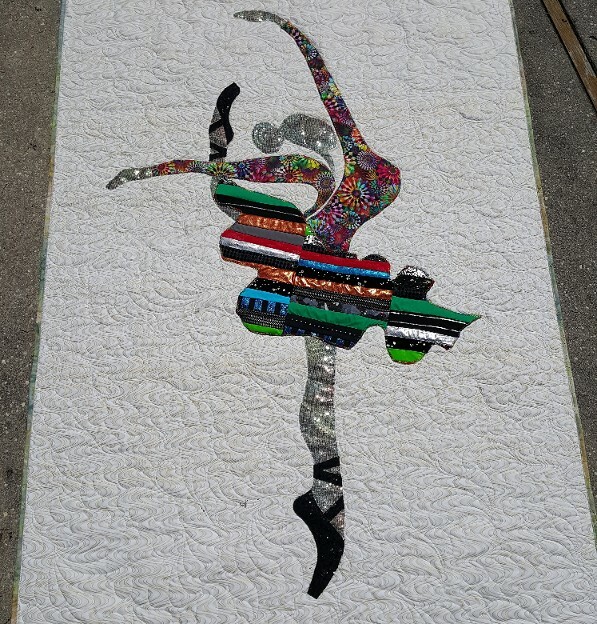 Many pieces of costumes from dances I have taught over the years sewn into this quilt is a perfect way to keep all of the memories that I have created over the years with so many beautiful dancers! 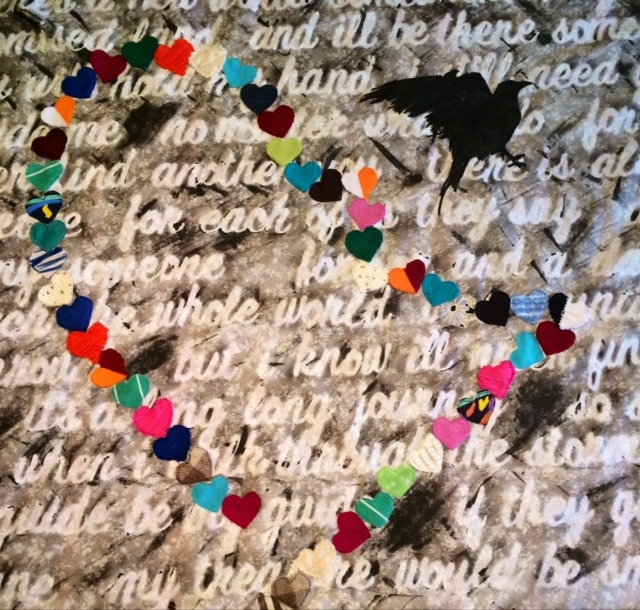 This is a keepsake that I can treasure forever with many thanks to keepsake stitches thank you once again! WHO? Donna Illiano Santomassiano WHAT? Teacher, Dancer & Friend ... "like a mother to many" WHEN? Studio owner for 21+ years. 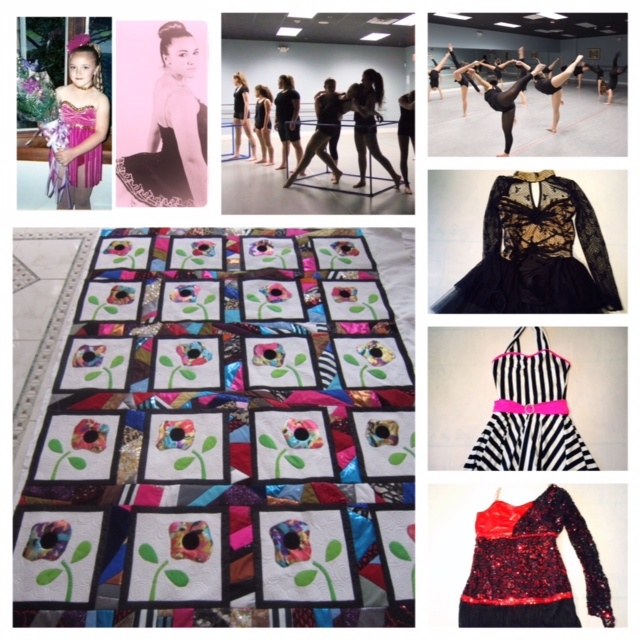 Opening her studio in 1993 - Donna's Dance Center has most recently launched the D&S Dance Company. WHERE? 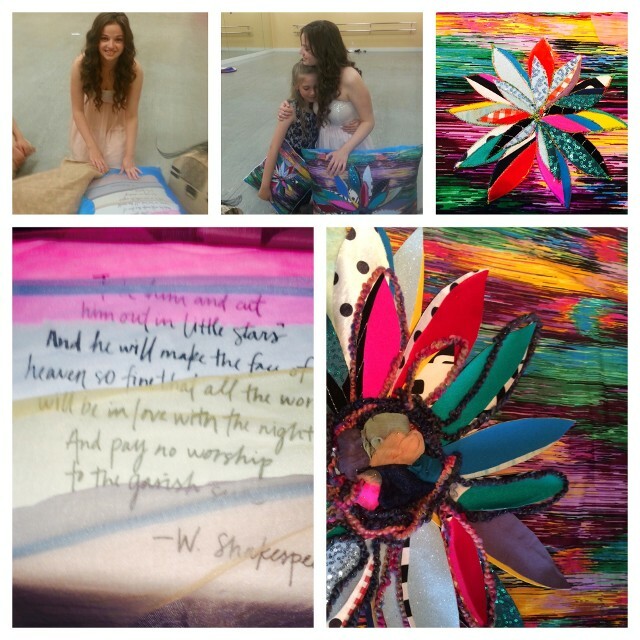 Donna's Dance Center Shirley, New York 11967 FAVORITE POEM: "Eyes Upon A Dance Teacher"
This quilt is absolutely amazing!!! 21 years of memories displayed so beautifully, right down to the treasure chest it came in!! 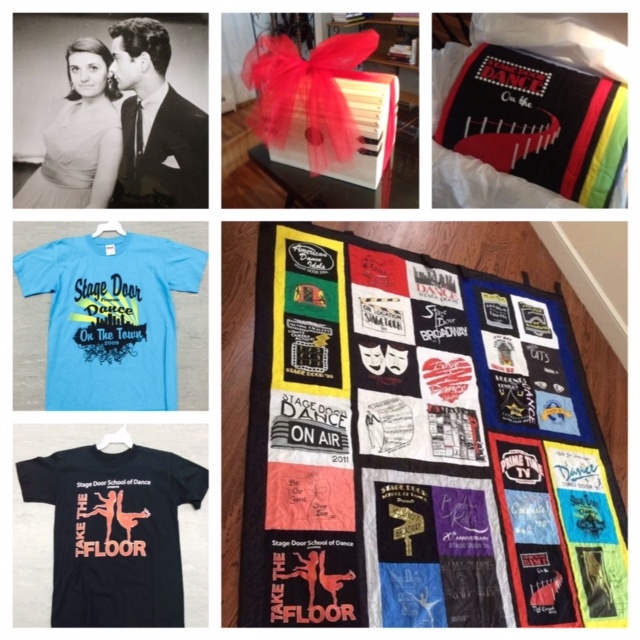 Such a special way to remember all the years invested in running my studio. 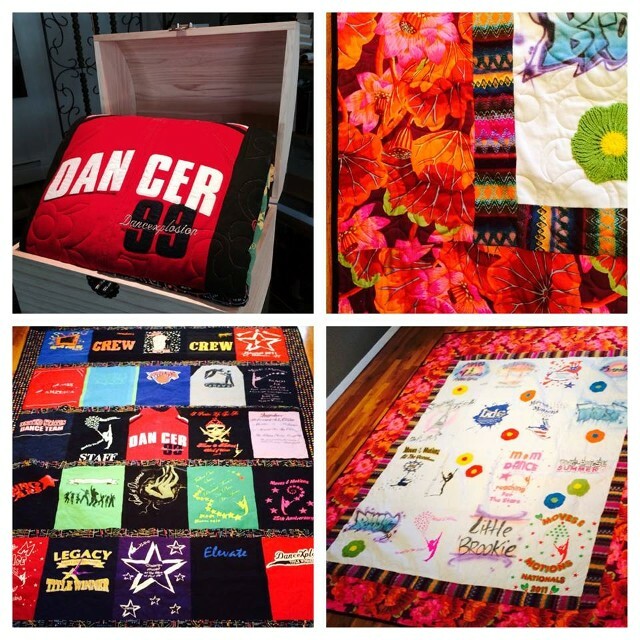 I will always treasure the love and memories of all the dancers behind this incredibly thoughtful gift. I am speechless! You have captured Meagan's heart and soul. WHEN? 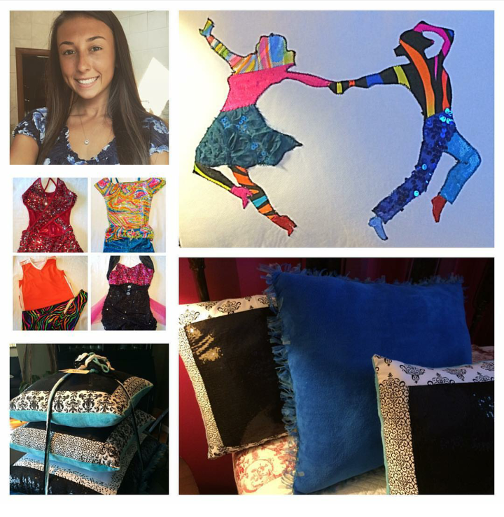 This multitalented athlete splits her time between Dancing, Varsity Kick Line and Step Squad. Love the life you live. Love the life you love. 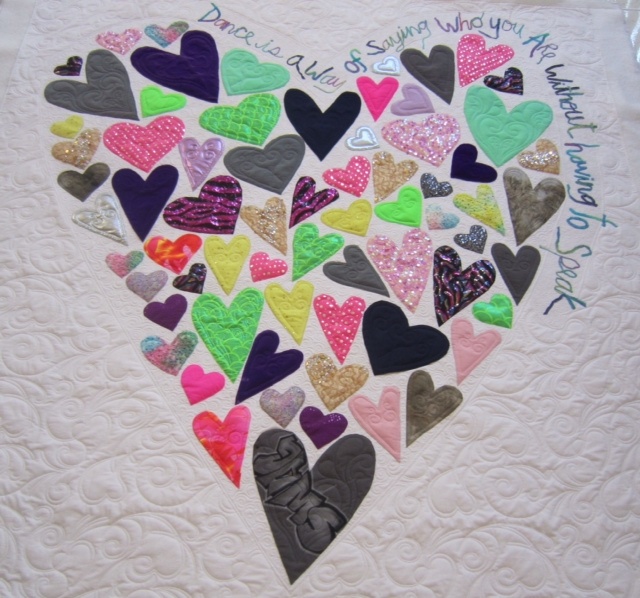 Finalizing the 1st of 2 memorial quilts for my best friend Dorina. 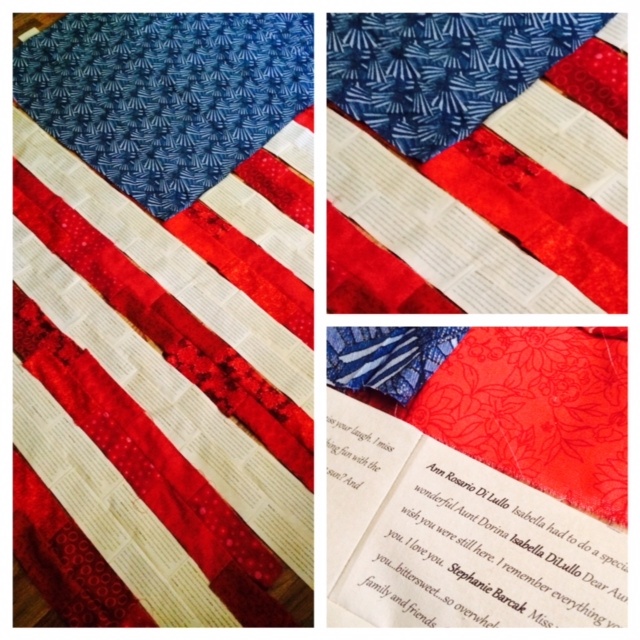 This quilt is for her husband Charlie and their two boys, Charlie and Bennett. Rest in Peace my friend. I miss you more than words can say. This gorgeous couple is expecting their first baby boy this spring ... Mr. Lincoln Clark Roe. Erin is an accomplished accountant, dancer, choreographer and performer in addition to managing TheStageDoor School of Dance in Patchogue, NY. She received her degress in Dance and accounting from jacksonville University. 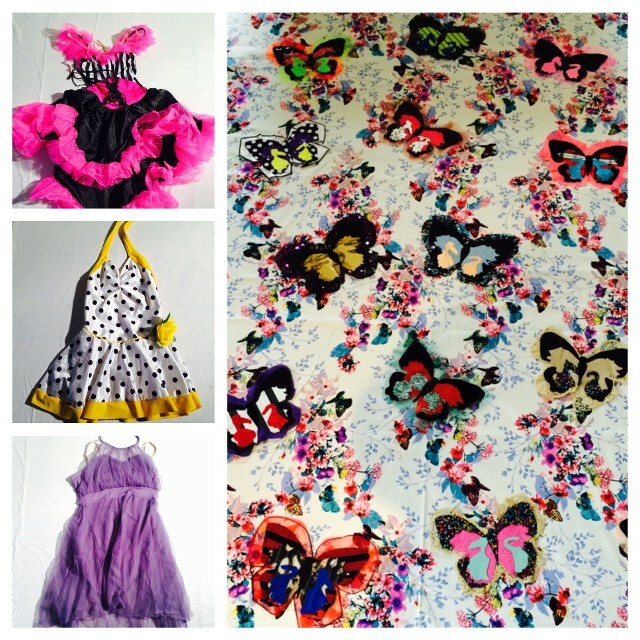 This I SPY/BABY QUILT was made from Erin's recycled dance costumes. WHEN? She has been in numerous productions at The Gateway & Patchogue Theaters. WHERE? She will be attending SUNY Cortland this fall and majoring in Musical Theatre. 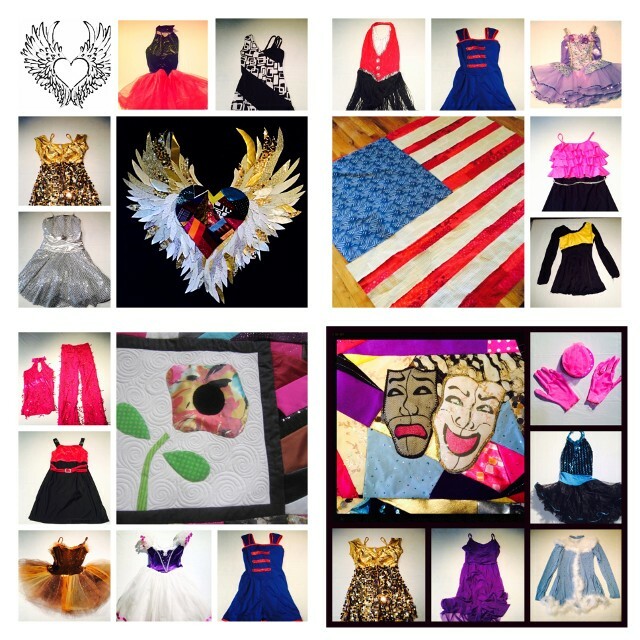 This EYE/SPY Quilt was recycled out of Erin's dance costumes. 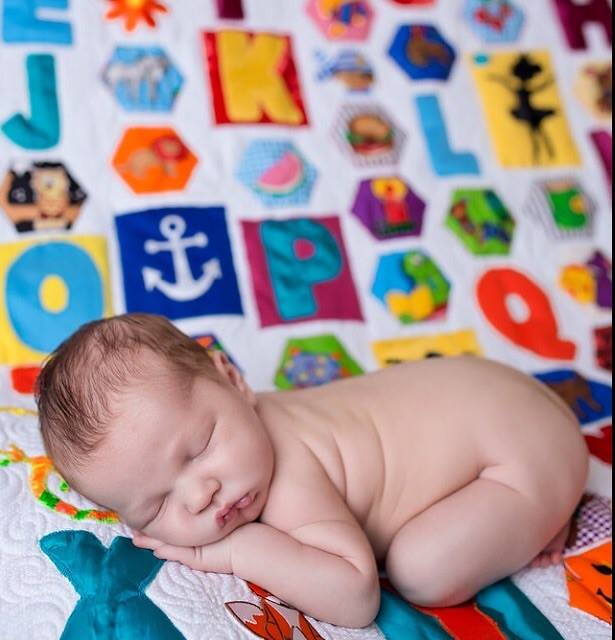 This FABULOUS new mom is an accomplished dancer, performer and choreographer in addition to double-majoring at Jacksonville University in Accounting and Dance. WISHING your family all the love & happiness life has to offer. WHEN? Dancing, Singing and Acting since the age of 5, her accomplishments include numerous awards and scholarships from NYSCAME and SCMEA. Most recently landing the lead roll in the prestigious Gateway Theaters' production of Cinderella. WHERE? Shannon is enrolled at S.U.N.Y Cortland for Musical Theatre. "And in the end... We have only each other." WHEN? Began dancing at the young age of 2 at StageDoor School of Dance. Patchogue, NY. WHERE? This fall, Meagan is attending SCCC and will receive her degree as an X-Ray Technician. WHEN? In her senior year she was one of a few grant recipients for her senior year musical projects. WHAT ? 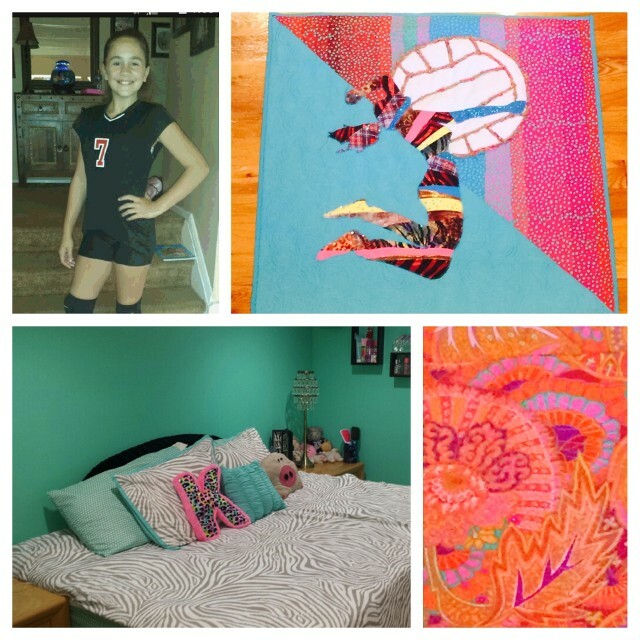 Junior Varsity Volleyball Team Player at Patchogue-Medford High School. WHEN ? Started her athletic career as a dancer st StageDoor School of Dance. Where she danced for 5 years until she found her new love volleyball. WHERE ? Upon graduating she sapires to attend StonyBrook University and study Dentistry. 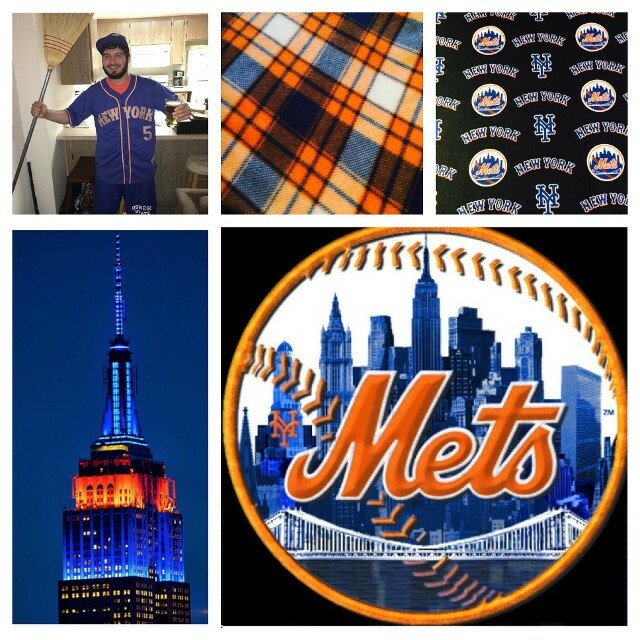 METS quilt finished !! 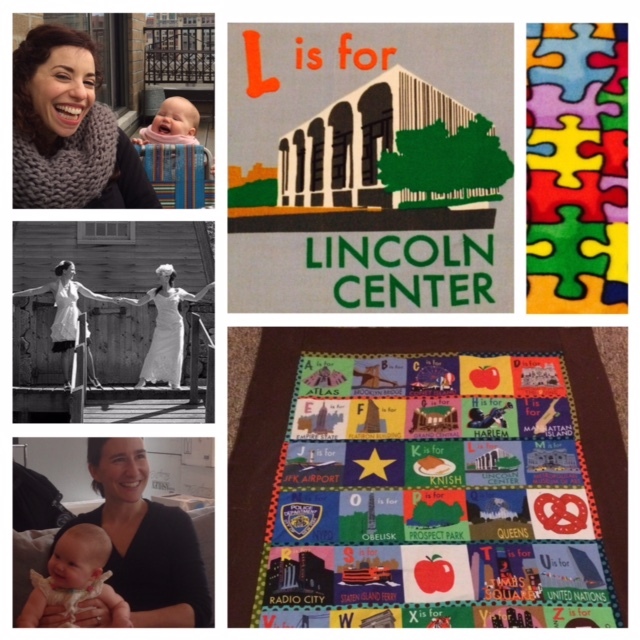 Complete with NYC subway trains ... Repping The 7-Line Army. .
Keepsake Stitches' NYC inspired ABC / I-Spy quilt celebrates the sights and sounds of this great city. 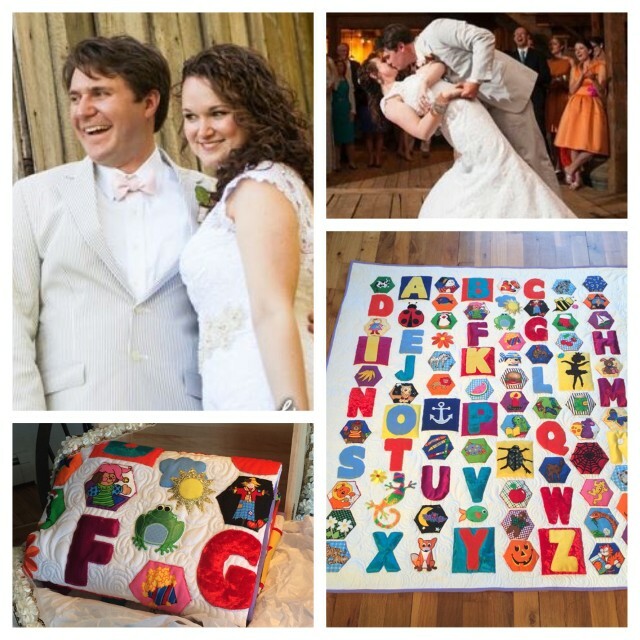 Wrap your baby or toddler in this cozy, bright and educational quilt. This beautiful couple, Jen & Jessica, and their amazing daughter Streling share their time living, loving and laughing throughout New York. The Holiday Season celebrates friends and family of present and yesteryear. 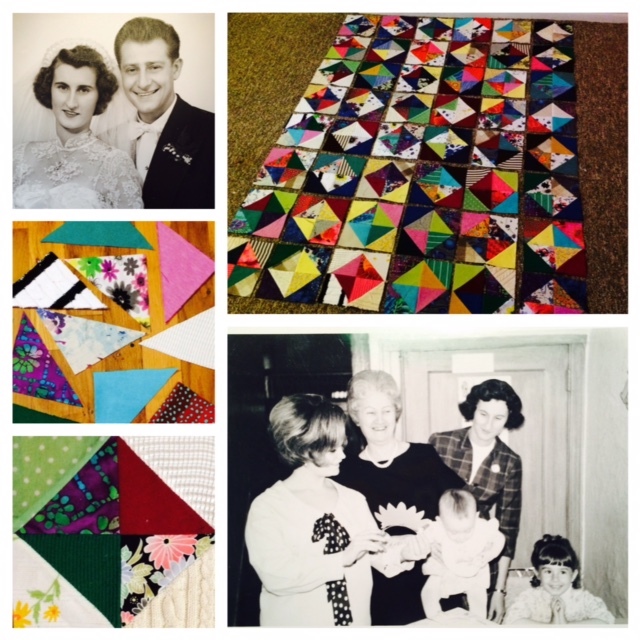 If you are a sentimentalist, consider creating a quilt or wall hanging with your loved ones keepsakes. 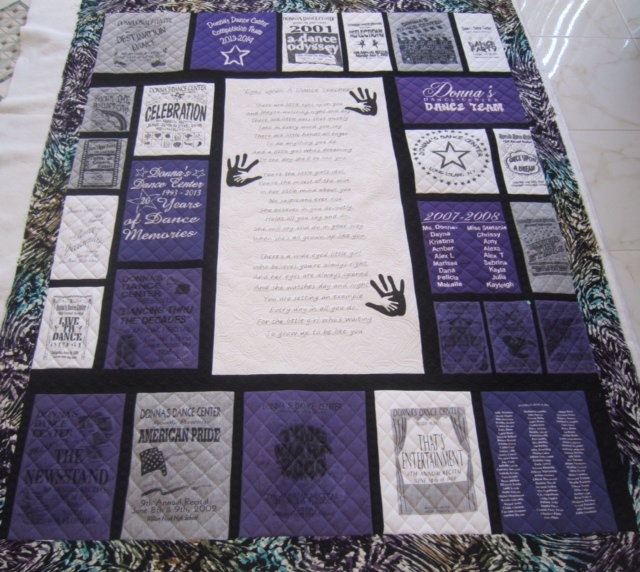 The traditional quilt depicted - remembers a dear aunt, a matriach and the best story teller ever. WHAT? Katie is currently studying Criminal Justice Law Enforcement Technology at Farmingdale State University. In addition she aspired to put her love of animals to good use in combination with her degree by training K-9 police dogs. 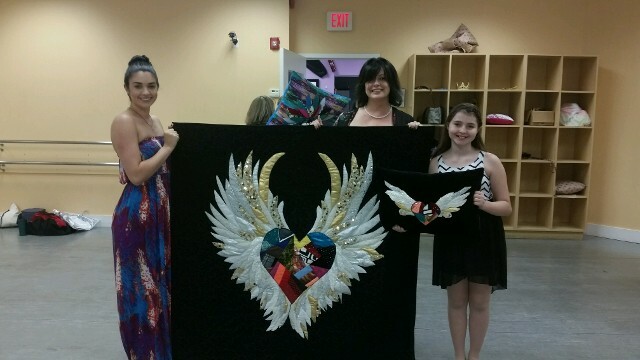 Finally finished this quilt for my gorgeous neice Christina Miglio. A beautiful person inside and out. I have been friends with her parents Maria & Joe since they age of 15. 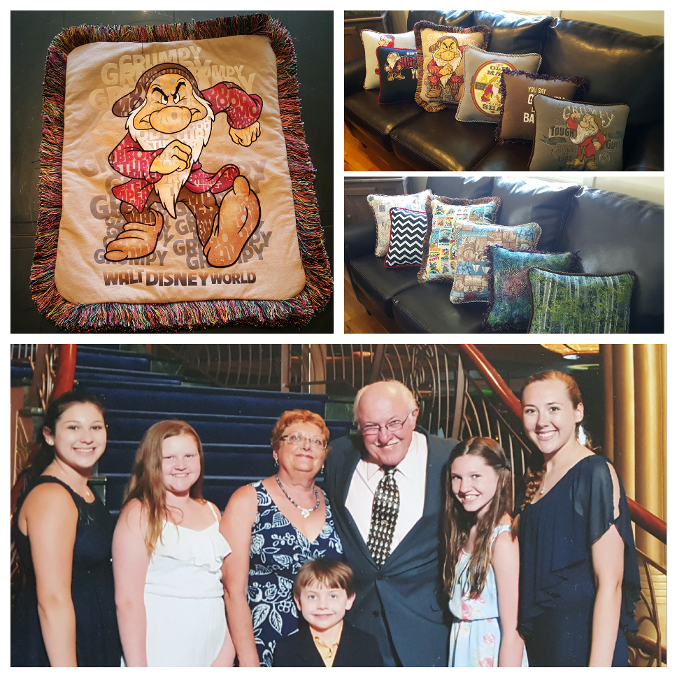 These amazing grandchildren celebrate the love and legacy of their grandfather Bill Mangels by creating keepsake pillows with his favorite Disney character "GRUMPY" t-shirts. 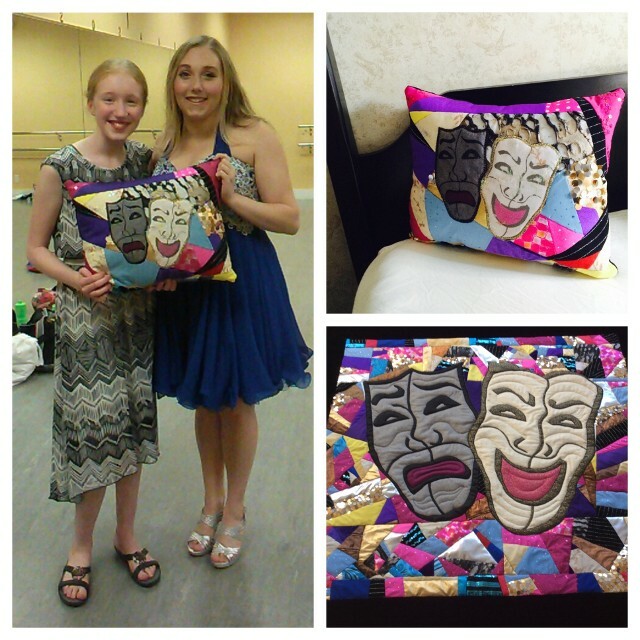 The pillows are just amazing! What a special keepsake of my Dad they are !! Nuala. Thank you so much for the Grumpy pillows. You blew us away. They came out so much better than I had imagined. I really appreciate the care you took in creating them. 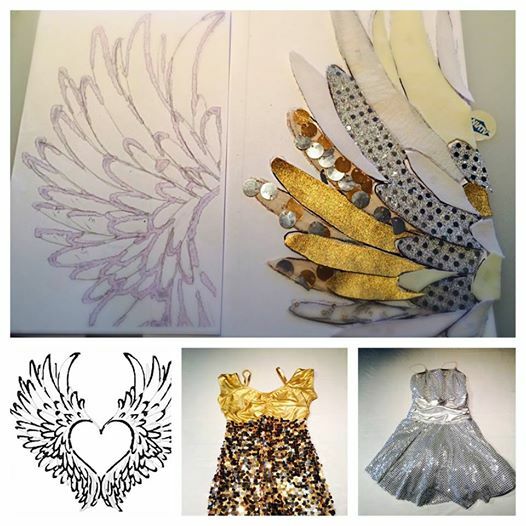 Thank you again for the beautiful keepsakes. 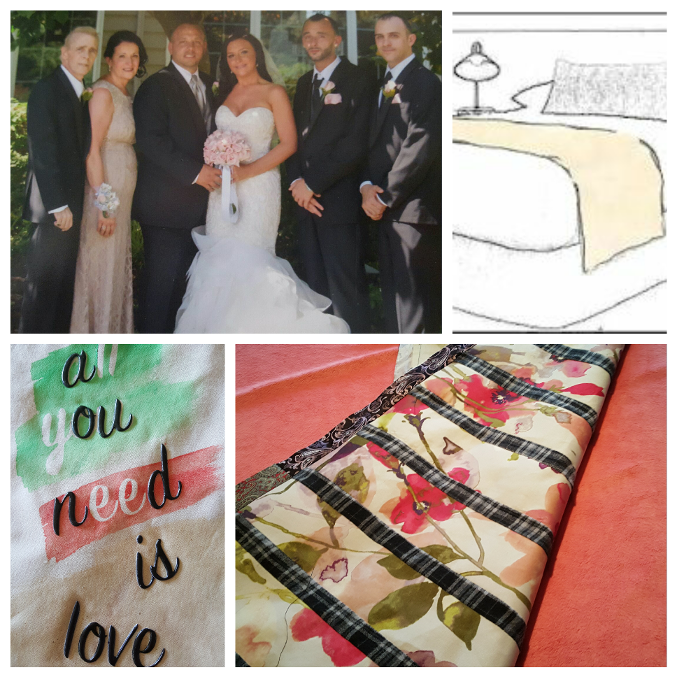 A collection of this dear fathers' t-shirts, flannels and ties sewn together to create a bed runner for his wife Michele Dimone. THANK YOU Meghan for entrusting me with your fathers' keepsakes. I am so glad we were able to create this for your mother for Mothers' Day. I LOVE IT !!! So beautiful and perfect !! I can't thank you enough.